On today’s show, Brad Brisco and Craig Lovelace join us to chat about the Alan Hirsch book called Forgotten Ways and how it can help shape and develop your ministry. Why we cannot just talk about APEST? What is missional DNA and what is the heart of it? The person, work, and ways of Jesus. Jesus as Lord has to penetrate all we do. We need to create disciple making environments. Evangelism happens as we make disciples. Recapturing the missionary nature of the church. The church is a gathered and scattered people. How can this help is in reaching college students and planting churches? Regardless of calling we need to show people how that vocation fits into the mission of God. Sometimes the ‘teacher/shepherd’ gifting can limit peoples vision on how they fit into the body of Christ and the church. There is no sacred/secular divide, all things are under the kingdom of Jesus. What are applications for us? 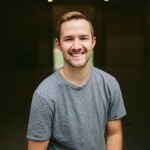 Craig Lovelace started attending Resonate his freshman year at Idaho University. Craig started his relationship with Jesus at Resonate and caught the vision of planting churches. 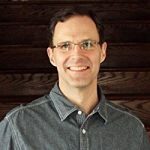 Craig is currently the Site Pastor at East Washington University.